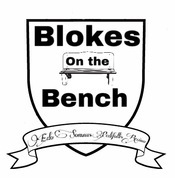 Blokes on the Bench host Andy Richardson and the rest of the blokes discuss week three of the 2018/2019 Premier League season. Manchester City have a tough draw against the Wolves, Liverpool played Brighton, Arsenal finally get a win against West Ham when it looked like they were going to lose. Fulham trash Burnley at home 4-2, all that and we talk trouble at Manchester United, overseas games, and the ICC. Join us for another great episode! Blokes on a Bench is heard on WPVC 94.7 Sunday evenings at 6:00 p.m.
Blokes on the Bench host Andy Richardson and the rest of the blokes discuss week one of the new 2018/2019 Premier League season. Liverpool looks to be in top form, and favorites to catch City this year, with signings during the summer to bolster their squad. And while West Ham also spent some cash during the summer, Liverpool beat them comfortably. City continues to be in top form beating Arsenal, while United won over Leicester City at Old Trafford on opening day. Will this silence critics of Mourinho who by all accounts had a less than perfect transfer window? All that and all the rest of the league news. Plus we discuss the rising costs of watching top flight European football with subscription packages taking away what was free to watch on cable in previous years. Join us for a great show! Blokes on the Bench host Andy Richardson and the Blokes are joined in the studio by former Assistant Canadian National Team coach Deesh Bhattal, and Brentley Kellum, to discuss the world cup. Has V.A.R. been a success? Who’s going to win? The best player in the competition and best goalkeeper? Will it be viva la France or is football really coming home? Also, we discuss movement within the Premier League. Blokes on the Bench host Andy Richardson and the Blokes are joined in the studio by C-Ville FC manager Bayram Sadikoglu to discuss their campaign in the UPSL. With a 3-2 win over Sparta 20/20 this weekend, we discussed Champions League and the shocking exit of Barcelona at the hands of Roma. Also, Liverpool knocking out Manchester City. And speaking of Manchester City, with the red side of the city losing 0-1 to West Brom, City won the Premier League with several games in hand. So where does that leave everyone else? Who’s going down? Wolverhampton Wanderers have been promoted to join the top flight next season. And lastly, Mark’s dislike of EPL referee Michael Oliver and where does Arsenal go from here after losing 2-3 Newcastle United. All this and more on this weekend’s Blokes on the Bench. Blokes on the Bench is heard on WPVC 94.7 Sunday evenings at 6:00 p.m.
Blokes on the Bench host Andy Richardson and the Blokes are joined in the studio by David Deaton from CVille Alliance FC who are about to get their first NPSL season underway. The blokes also discuss Zlatan Ibrahimovic joining MLS team L.A Galaxy and what it means for both the player and MLS. Also, the FA Cup and International games that have been played recently and English soccer hooligans show up in Amsterdam against the Netherlands. This and all the other soccer news. Blokes on the Bench host Andy Richardson and the Blokes are joined in the studio by Charlottesville club C-Ville FC manager Bayram Sadikoglu to discuss the success of their inaugural game in the UPSL beating Savannah Clovers FC at home 5-2. Also their next away game to the Atlanta Allstars this coming weekend and Saturday the 24th of March for their next home game at the Charlottesville High School against FC Cardinals from North Carolina. We also didn’t forget the EPL games, beginning with Manchester United beating Liverpool at Old Trafford. Arsenal beat Watford but the crowd of Arsenal fans in the studio weren’t all smiles. Also, trouble at West Ham as they lose to Burnley at home. Can Chelsea finish top 4? All that and Alex nearly makes the show run for an extra few days, by unleashing another love gush on his beloved Tottenham. Blokes on the Bench host Andy Richardson and the Blokes discuss the tragic death of Forentina captain, and Italian International Davide Astori, who passed away suddenly this morning. Also the introduction of V.A.R. during a midweek FA cup Clash between Spurs and Rochdale had some controversy. We discuss how this may impact the world cup coming up this summer. In Premier League results City dominate against Chelsea, Liverpool move into 2nd with a win over Newcastle, at least until Monday when Manchester United travel to Crystal Palace. Arsenal have their third defeat in seven days which begs the question is it time Arsene Wenger leaves the Emirates? Spurs also continue on their winning ways against Huddersfield and with both Kane and Deli in the England Squad for this summer, we ask just how good are they? That and all the rest of the games from the weekend. Blokes on the Bench host Andy Richardson and the Blokes have special guests in the studio this weekend with Johnny Forbes Director of operations & Byram Sadikoglu the manager from C-Ville FC stopping by to dicuss the up and coming season. Also we discuss the EFL cup final between Arensal and Manchester City in which Arsenal never really showed up. Liverpool went into 2nd spot on Saturday, and with Manchester United Beating Chelsea to reclaim it, it looks like top four is going to be a tight and interesting battle! That and all the games from the weekend. Blokes on the Bench host Andy Richardson and Christian, have an in-depth discussion surrounding a surprisingly busy January transfer window, and the state of all the teams involved. Also what’s going on behind the scenes at Chelsea? Is Antonio Conte on the way out? With Sanchez now at Manchester United, will his move upset the growth of Rashford? Is Arsenal going backwards? Could Tottenham Hotspurs survive losing Kane or Pochettino, and with the Super Bowl being played, what are some memorable Champions league final moments? All that and the weekends results! Blokes on the Bench host Andy Richardson and the rest of the Blokes start the show with the sad news of the passing of Cyrille Regis, a pioneer for black soccer players. We discuss the issue of racism, how it is still unfortunately in the beautiful game and what can be done to eradicate it. Also Watford manager Marco Silva is now out of a job, the Sanchez deal continues to be in the headlines, and how the Mkhitaryan move to Arsenal might just be the best thing for both clubs and player. That and all the weekend Premier League action! This week on Blokes on the Bench, Andy Richardson, and the rest of the Blokes discuss the current state of the Premier League table. We are also joined by new Bloke, Wayne Hamilton, as we discuss the weekends action, and since Wayne is a Liverpool Lad and fan, and Christian & Daniel are City fans, it should be an interesting show! That and Andy gets away with playing some Echo and the Bunnymen, and drops some Acid house, Christian and Wayne get into who’s got the better Scarf, and Mark discusses his favorite topic in soccer, Crystal Palace cheerleaders! oh and of course the results! Should be a great show! Blokes on the Bench first want to wish a Happy New Year to all our listeners!. This week Andy Richardson, and the rest of the blokes discuss the current state of the Premier League table, after a very busy Christmas and New Year for all EPL teams. Plus David Deaton from Charlottesville Alliance FC is in the studio with all the news on the club after they joined the NPSL as an expansion team! The blokes are Andy Richardson, Mark Coffman, Alex Gomaa, Christian Galdencio and Daniel Rothamel.